We are genuinely grateful to the many talented and dedicated volunteers who serve in parish leadership roles. Working in partnership with our pastor, parochial vicar, parish administrator, school principal and other staff members, these volunteers ensure that the financial, physical, social and spiritual needs of our parish are met. 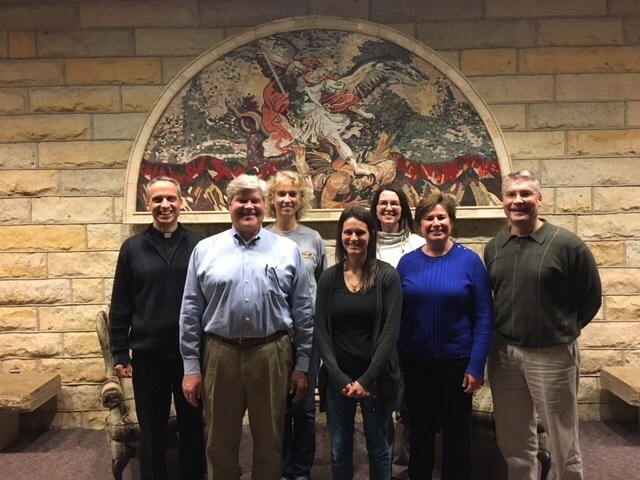 To ensure the fiscal stabilty of St. Michael’s Parish so that it can continue to meet the sacramental and spiritual needs of the Catholic Community of the St. Croix Valley. The Parish Pastoral Council, as representatives of the people of the Church of St. Michael, shall be an advisory body to the Pastor. The Pastor, as representative of the Archbishop, has ultimate decision making powers in all parish matters. St. Michael’s Parish Pastoral Council members are appointed by the pastor, Father Michael Izen. After the first 3 year term, the pastor may appoint a current member to a second 3 year term. Terms begin and end in April.